PRAGUE, 1 March 2016 – Emirates, a global connector of people and places, is offering Czech customers an opportunity to travel in style this season—all the way from Prague to their final destination—aboard an iconic Emirates A380 with special fares for select destinations for both Economy and Business Class passengers. As of 1 May 2016, Emirates will begin servicing its Prague–Dubai route with an Airbus A380, effectively becoming the first and only operator of the world’s largest passenger aircraft in the Czech Republic. Representing a 44% capacity increase for the route, which is currently operated by a Boeing 777-300ER, exploring any of Emirates’ 150 destinations around the world is now easier, and more stylish, than ever. To take advantage of these special fares, kindly book your tickets between 1 – 14 March 2016*. Explore Dubai from 9,990 CZK, Bangkok from 15,090 CZK, Beijing from 13,090 CZK, Mauritius from 23,790 CZK, and Sydney from 28,290 CZK. 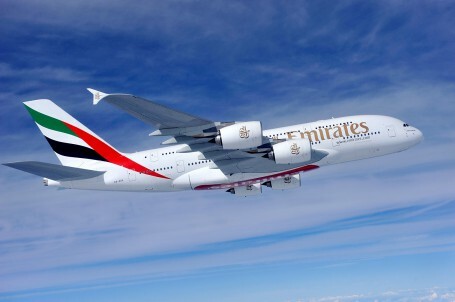 The Emirates A380 on the Prague route will accommodate 519 passengers in a three-class configuration, with 429 spacious Economy Class seats on the main deck and 76 fully flat-bed mini-pods in Business Class as well as 14 First Class Private Suites on the upper deck. It also offers access to the world’s only onboard Shower Spas for First Class passengers and to the iconic Onboard Lounge, where First Class and Business Class passengers can socialize at 40,000 feet. While onboard, passengers in all cabin classes can savour gourmet cuisine and Emirates’ award-winning inflight entertainment system, ice, which offers more than 2,100 channels of films, TV programmes, music and podcasts. Passengers travelling on the A380 can also easily stay connected to family, friends and colleagues with a wide range of communications options including free onboard Wi-Fi. Emirates connects Czech passengers to 150 destinations in 80 countries around the world via one convenient stop in Dubai. Beginning 1 May, 2016, the daily Emirates Prague-Dubai route, operating as EK 139, will depart Dubai at 0905hrs and arrive in Prague at 1330hrs. The return leg, operating as EK 140, will depart Prague at 1540hrs and arrive in Dubai at 2335hrs. For more information on Emirates, including how to book flights and a complete list of terms and conditions, contact your travel agent or visit www.emirates.com. *The period valid for travel is 1 May – 30 November 2016.